How can healthcare managers ensure new buildings and systems will meet expectations and operate with predictable costs and reliability? By integrating high-performance systems thinking and independent expertise with your project team to support them in designing and building efficient systems that operate at peak performance with minimal disruptions or downtime. In an era of ever-compressing schedules and budgets, Cx Associates’ capabilities and independence help remove construction and operational uncertainties and reduce your risk. Knowing the goals of your new construction project is critical to a successful outcome. Cx Associates has years of experience facilitating hospital staff discussions to establish clearly articulated project objectives that we document in the Owner’s Project Requirements (OPR) document. The OPR focuses the team on your stated goals as the foundation for design, construction, commissioning, and operations. Whether your goals include patient satisfaction ratings, acceptable equipment manufacturers, reduced patient falls, expected noise levels, energy use targets, or anything else, this approach helps you identify areas of improvement to drive up your Hospital Consumer Assessment of Healthcare Providers and Systems (HCAHPS) and Press Ganey scores and/or your Energy Star Rating as a result of your construction project. Cx Associates’ design review team includes engineers with a long history planning buildings and commissioning systems to meet FGI Guidelines and ASHRAE 170. Design expertise coupled with significant experience commissioning designs from dozens of world-class design firms gives Cx Associates a unique ability to identify what makes engineering designs successful in terms of budget, energy efficiency, constructability, end user satisfaction, and ease of operations and maintenance. Cx Associates’ design review typically pays for itself as we identify real value engineering improvements that deliver the required services efficiently and effectively with lower first and operating costs. 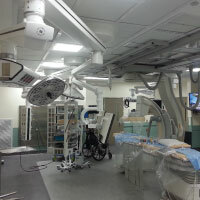 Improvements include strategies for prioritizing life-safety critical equipment, ensuring air-change rates, right-sizing equipment, streamlining duct layouts, using task-ambient lighting, optimizing building controls, and more. When you are building for the future, it’s important to get it right the first time. Having an independent third party conduct thorough and constructive design reviews is a critical step in achieving that objective. Cx Associates is a sustainability consultant with deep experience navigating the LEED certification process. Our expertise goes beyond managing LEED credits; we work with clients and project teams to set clear priorities, establish achievable targets and select cost-effective strategies to meet them. Our experienced energy modelers help you assess energy efficiency options and trade-offs early in the process so you can make informed decisions about which investments will be most cost-effective for energy performance, reduced emissions, reliability, and occupant and patient comfort. While today Cx Associates is much more than a building commissioning firm, we got our start decades ago providing comprehensive commissioning services for new construction projects. Our capabilities and experience deliver real value by identifying and remedying issues “behind the walls and above the ceilings” before they are turned over to your operations staff. Left unchecked, these are the issues that will increase operating costs, decrease comfort, and potentially undermine the hospital’s compliance with JCAHO (TJC) requirements. During construction, we will be on site to identify issues early and provide solutions. By collaborating with the entire team, we work to implement the optimal solution, thereby ensuring the facility meets your goals. Metering and data analytics are the vital signs of modern healthcare facilities and a critical part of 21st-century building design and operations. Cx Associates knows you cannot save what you can’t measure, that temporary changes need long-term fixes, and that you want to control and plan for resiliency. 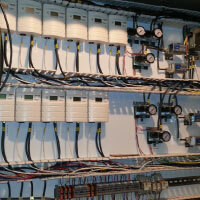 A properly implemented M&V system is much more than some meters tied into your BAS. We’ve designed, commissioned, and tested M&V systems that let building operators see how their systems respond to changes in setpoints and other operating parameters so they can tune and refine operations using real-time feedback. We integrate with your design team to specify the right hardware, software, and algorithms for use with the right variables for metering. During construction, we verify the hardware, the information feeding into the BAS, and the usefulness of the data outputs. Post occupancy, we help you undertake calibrated energy modeling to test actual against predicted performance. We can help you fine-tune operations to avoid costly downtime, patient or surgeon disruptions—and to enjoy your building systems’ high performance.